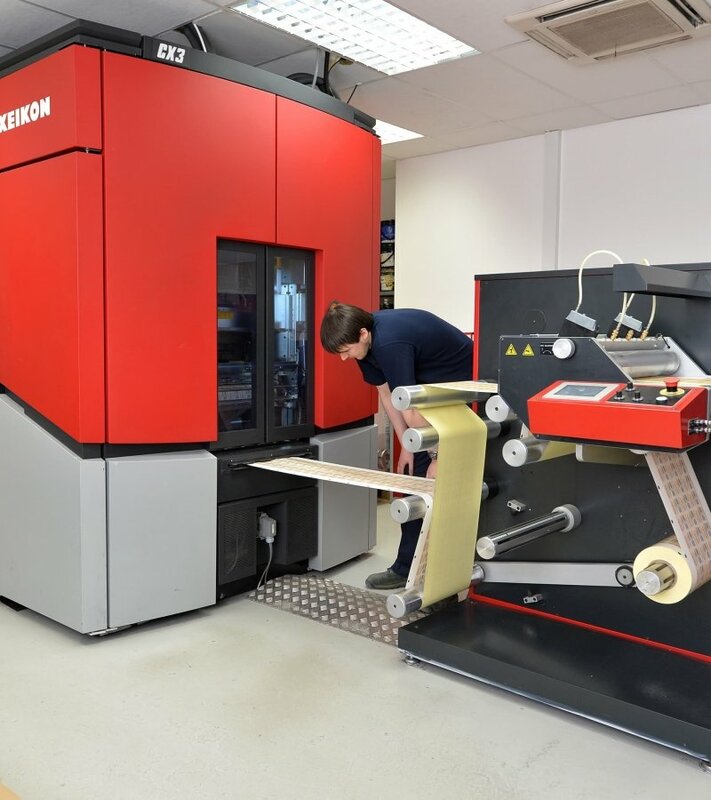 Digital printing is the fastest growing manufacturing option for our customers much due to the range of benefits it delivers. High definition print (1200 dpi) is offered across all inkjet and toner presses, ensuring that pin sharp graphics and perfect registration on any size of print run, any type of material and without the need for conventional set-up costs. Achieving up to 95% of all industry standard Pantone shades and with excellent lightfastness and durability, products can be brought to market, economically and with much lower levels of risk and financial outlay. Our inkjet presses deliver great colour density and opacity when printing on clear materials making it the perfect choice for no-look labels for your product. 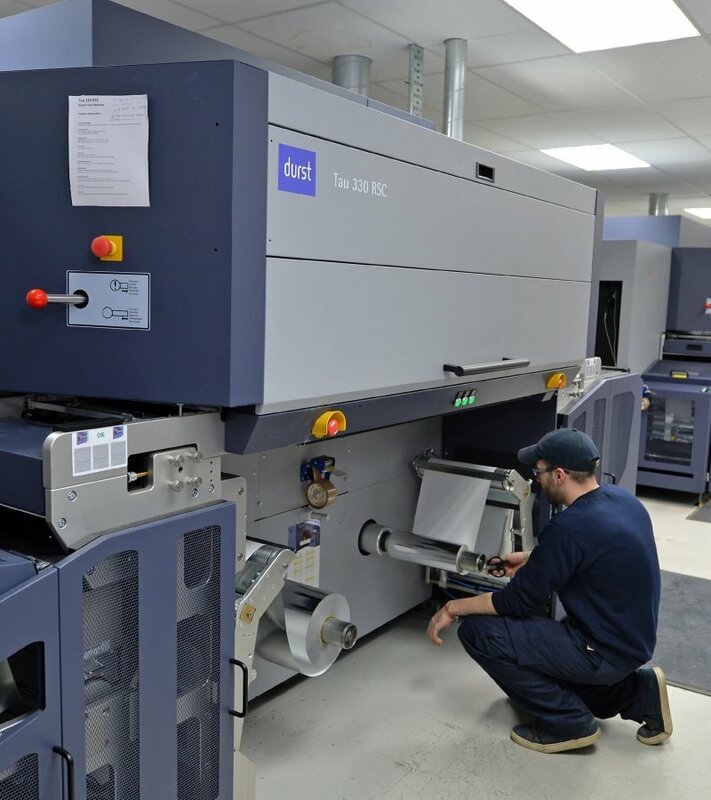 Batch numbering and variable data can also be incorporated into the digital print process, with applications being promotional, authentication and security. Multiply/Peel and Read, and reverse side printed labels can be produced digitally, making smaller print runs more cost effective to manufacture, while the digital format is ideal for product launches, multiple-variants, seasonal and promotional labels. Digital also provides the perfect vehicle to help customer expand into new markets. For added impact and shelf appeal, all our digital labels can be further embellished with foil blocking and embossing and other special finishes, to deliver enhanced and luxurious brand definition, all manufacturing being compliant to rigorous BRC quality standards.